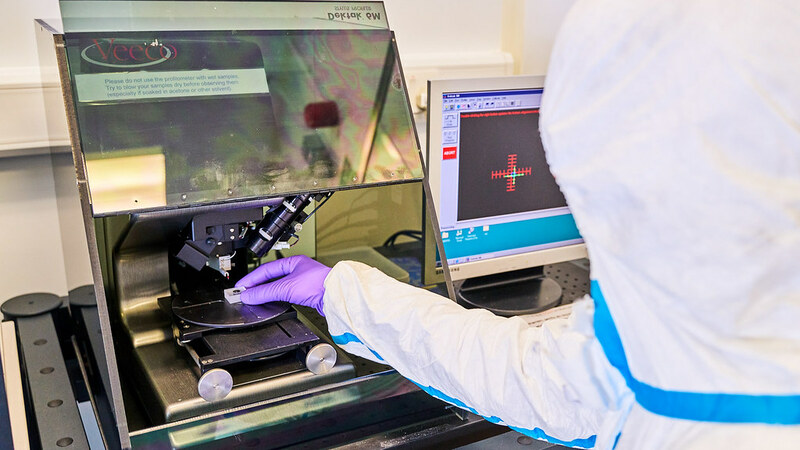 Characterisation of samples is achieved through the use of various stylus profiling, optical and electron beam microscopy. Our Dektak 6M contact profilometry system is capable of resolving surface steps with 10 nm accuracy. Our Hitachi S-4300 scanning electron microscope is capable of resolving surface features down to the nanometre scale. Light and dark field imaging down to the micron scale is available on our Leica optical microscope. The Filmetrics reflectometry system is used for general-purpose film thickness measurements from ~15 nm - 70 µm.